One of Le Cordon Bleu Paris institute alumni, Joao Duarte, who is of Portuguese nationality and 29 years of age, finished his Cuisine Diploma in 2006. It was during Joao’s recent visit to the Institute that we took the opportunity to ask him a few questions about his new life. Chef at Café Constant, he says that he couldn’t be happier and has new projects in the pipeline! I always cooked at home: snacks for friends and family. One day I said to myself that I didn’t want to just do that and that maybe my future career should be as a Chef! I came to study cuisine lessons here as it had always been my dream to study French cuisine and in Paris! I also had friends who had already studied at Le Cordon Bleu institute, but in London. When I arrived at Le Cordon Bleu, I had the pleasure of being trained by Chefs who taught me how to appreciate and respect products in their natural state. This was a real trigger for me and made me love being in a professional kitchen, just like the one at Le Cordon Bleu. My career in cuisine, which spans more than 10 years, can be summed up in 3 words: trust, respect and passion. What are you doing now and when did it start? My dream really did come true and I have now been working for Chef Christian Constant for almost 5 years. 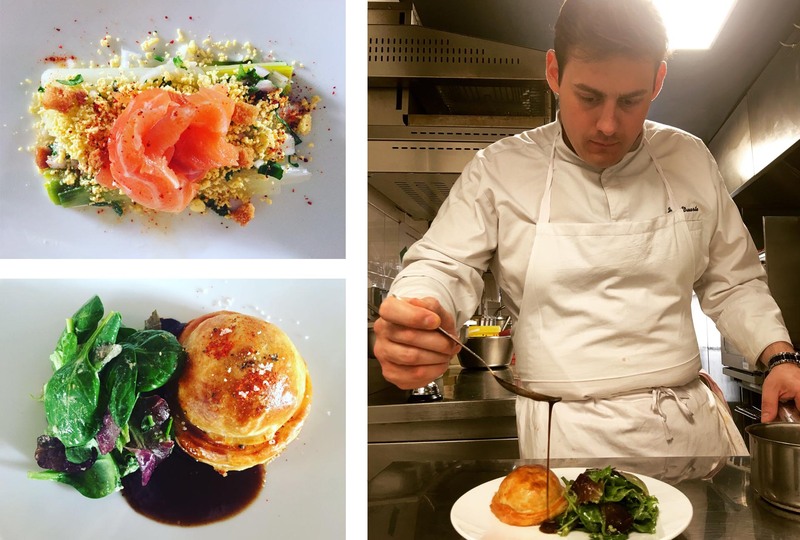 I began as sous-chef in his Michelin-starred restaurant Le Violon d'Ingres before becoming cuisine Chef in his bistro Café Constant, where I have worked for the past 3 years. As I said before, my life in Paris really is a dream come true. I love working and living in Paris, without forgetting fabulous French cuisine. I would say that a combination of trust, respect, determination and passion is the key to a successful future.